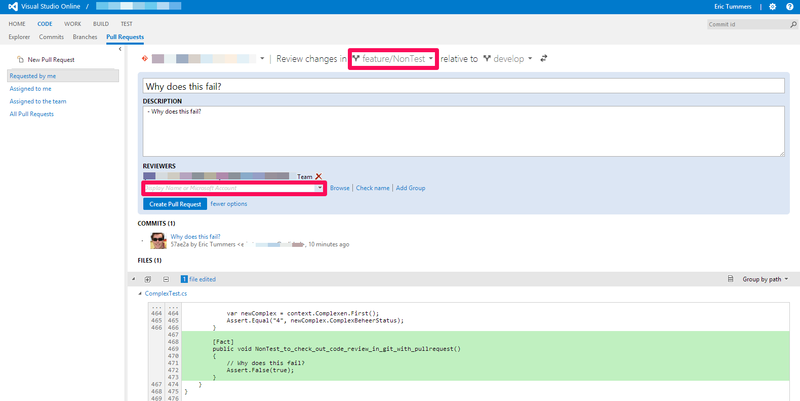 In the 10 June update of Visual Studio Online the Review and Merge code with Pull Requests feature was added. This means code review for GIT is finally here. We use SourceTree with GitFlow. I’ve created a New Feature that I want to get code reviewed. Important is the created branch. 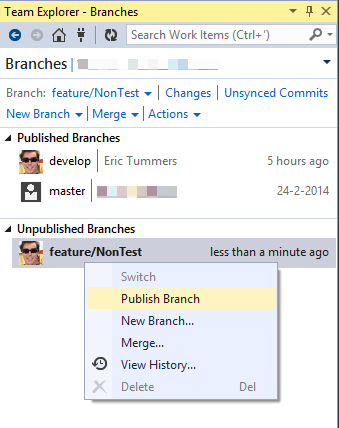 After completing my coding I need to publish my branch with the commits. After I published the branch opened a browser to visualstudio.com > CODE > Pull Requests and created a New Pull Request. I’ve selected the feature branch and more options to select the team members. 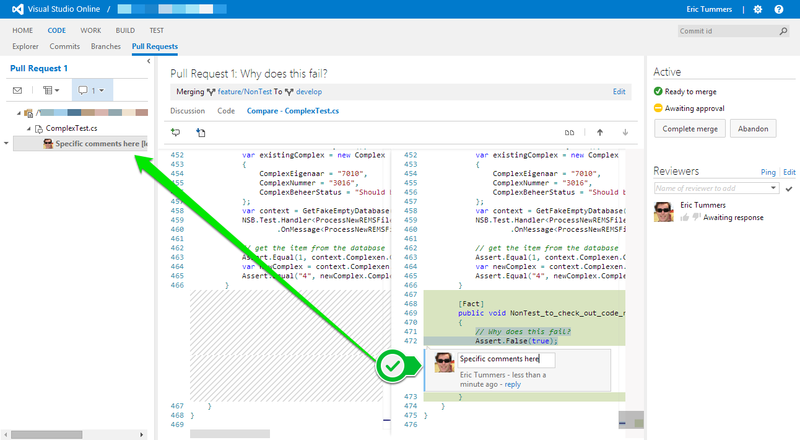 With Create Pull Request the request is created. 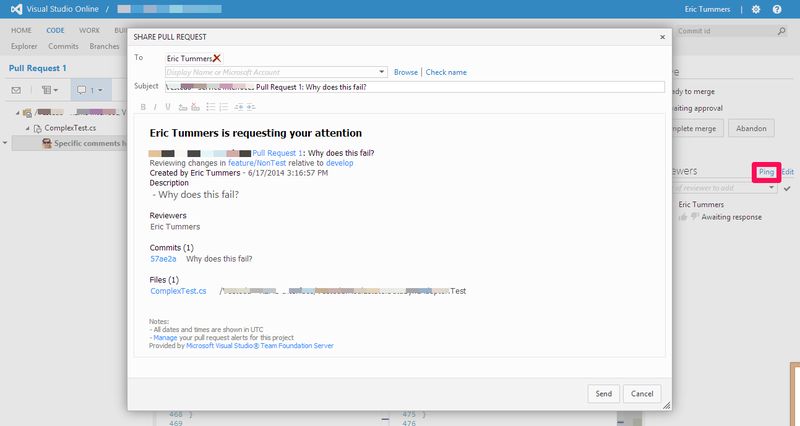 On the main screen of the pull request I can add some general comments / discussion. In the source(s) I can add more detailed comments linked to lines of code. These comments are visible under the source file in the treeview on the left as well. Since I’m happy with my own code, I’ll give a thumbs up and approve the code. With the approval of myself 🙄 I can merge the feature branch to the original branch. This entry was posted in Development and tagged code review, git, gitflow, sourcetree, visualstudio.com. Bookmark the permalink.